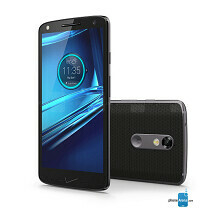 Verizon can be very slow with delivering Android updates, and the carrier did not break its tradition with the Motorola DROID Turbo 2, a handset that still runs Android 5.1 Lollipop at the moment. Fortunately, however, it looks like the DROID Turbo 2 is now being updated to Android 6.0 Marshmallow, the latest version of Android. A few hours ago, Verizon was spotted hosting a software support page detailing the Android 6.0 Marshmallow update for the Motorola Droid Turbo 2. In the meantime, the carrier took down that page, but not before the information was able to spread. Please note that we're not sure what this means in terms of rollout, but all signs point that the update is imminent. Android 6.0 Marshmallow is a major update that brings enhancements such as the battery-saving Doze mode, Google Now on Tap, manual control over app permissions, and a volume control system that actually makes sense, among others. On top of these standard Android 6.0 Marshmallow features, the update for the Motorola Droid Turbo 2 will also bring a few device-specific changes. The Ambient Display feature is now gone, being replaced by Moto Display. Furthermore, the update will bring new Moto Assist functions as well. Due to the size of the update, you'll have to keep close to a Wi-Fi connection to download the new software, which is expected to roll out in batches. The Turbo 2 will notify you when the update is available, but just in case you need to manually check for its existence, head on over to Settings>System updates. It's worth noting that Motorola has launched timely Marshmallow updates to the phones it sells unlocked. Furthermore, the Motorola Moto X Pure Edition, a handset that shares many of its hardware with the Droid Turbo 2 has already received its Android 6.0 Marshmallow update. On top of all this, the Motorola Droid Turbo 2 Employee Edition has received its slice of Marshmallow since back in mid-December. How is Verizon being slow with updates when many other similar devices still don't have it either. And for the record, they were fast with updates to the 2013 & 2014 Verizon branded Moto X and with the 2013 Droids updating them to KK. Verizon pulled the Turbo 2 software update page with the Marshmallow details.